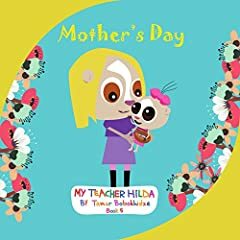 It's Mother's Day, and Ms. Hildaâ€™s children want to make gifts for their mothers. But learning new skills isn't always easy, and neither is working together as a team. Will the children succeed in creating beautiful gifts? In this fifth installment of the My Teacher Hilda series, children will continue to have fun with the story while learning about working as a team, not giving up, and the importance of sharing knowledge with one another.